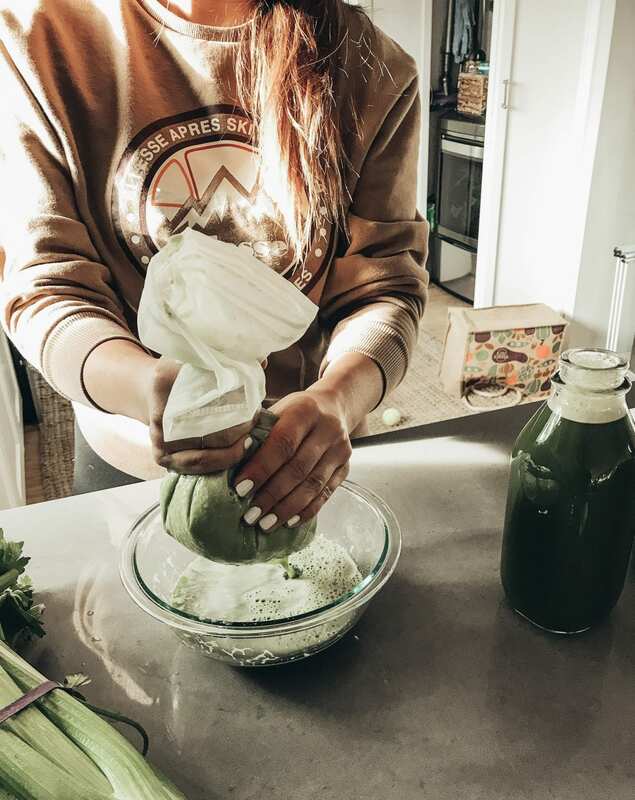 Unless you’ve been living under a rock, you’ve probably noticed tons of celebrities like Kim Kardashian, Gwyneth Paltrow and Pharrell touting the amazing benefits of celery juice. 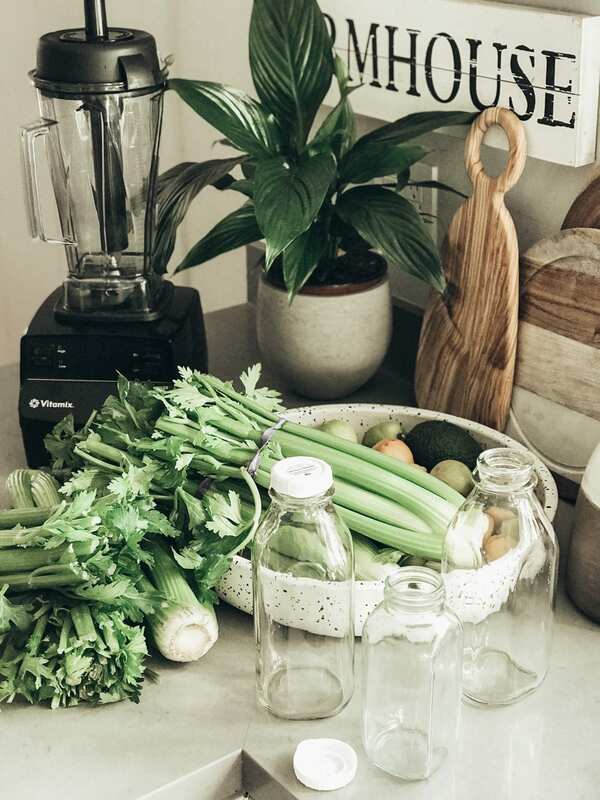 Juicing has gone in and out of style in the health community over the years and some health experts say that it’s not necessarily as good for you as you might think. However, celery juice has recently been in the news as a miracle drink with tons of healing properties! If you’re on a keto diet, juicing may seem like it’s not an option because many fruits and veggies have a high carb count. One medium stalk contains a mere 6 calories and 1.2 grams of carbs. Half of the carbohydrate content in celery comes from fiber, making it a good source of fiber. So celery juice gives you energy and nutrients without adding too many carbs into your diet. 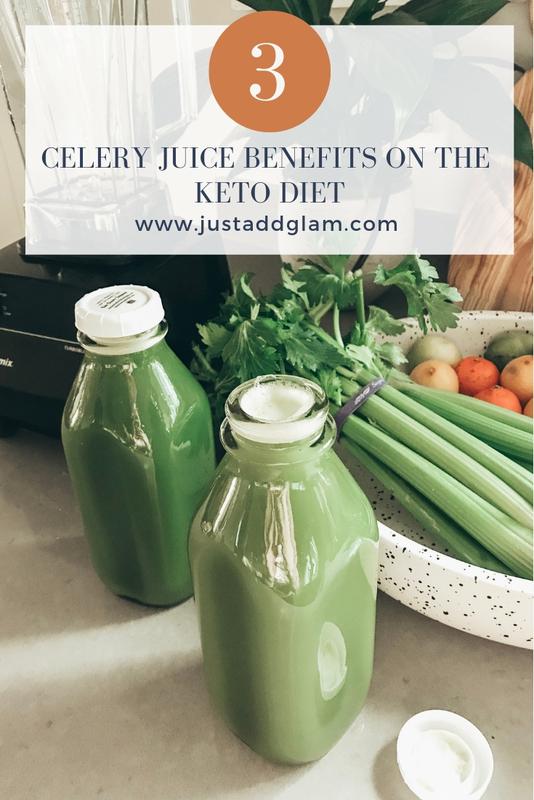 Here are the top 3 celery juice benefits on the keto diet! Celery has tons of important nutrients like vitamins A, K, and C, beta carotene, flavonoids, phytonutrients, calcium, iron, magnesium, phosphorus, potassium. As shown by this study, it has powerful anti-inflammatory effects, due to the phytosterol and unidentified polar substances. 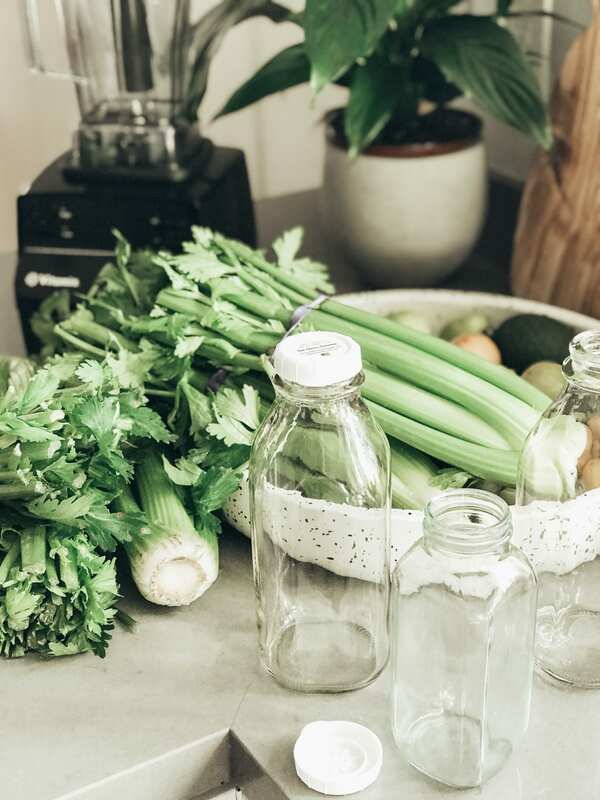 Since celery juice is a great natural diuretic, and because it’s great at flushing toxins out of the body, it really helps with pesky bloating. If you decided to go keto to shed a few pounds, celery juice is a great choice. 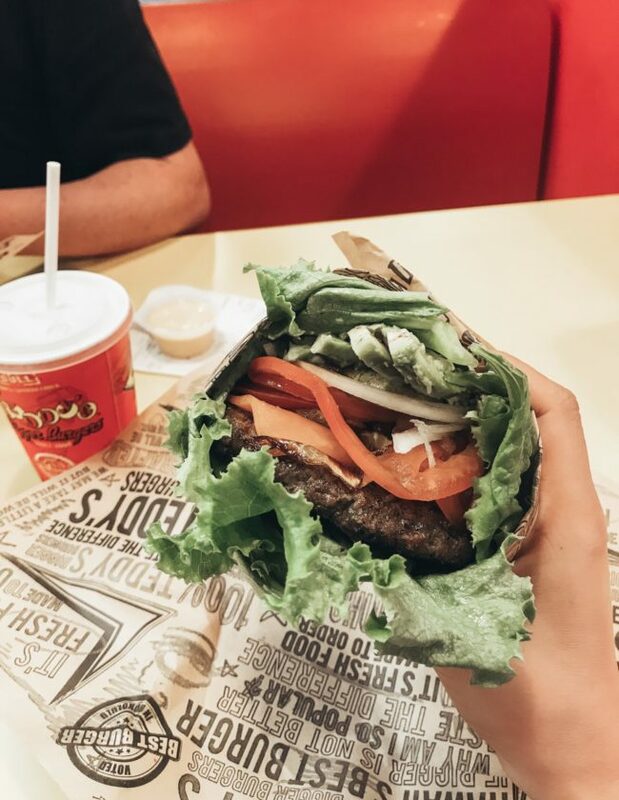 Not only is it extremely low in carbs and calories but it’s also very filling at the same time. So you can keep your appetite in check without getting kicked out of ketosis. If you deal with eczema, psoriasis, acne or other skin problems, you know how frustrating these conditions can be and how tough it can be to find solutions. Changing your diet has been proven to help clear up your skin. A lot of people who have tried the keto diet have stated their skin was vastly improved in just a few weeks. Celery juice contains vitamin K, vitamin C and vitamin A, which all help with skin conditions. A more indirect way that celery juice can actually help your skin is by helping you get better sleep. Getting enough sleep is important for skin care, and celery restores hydration and contains magnesium to help you get a better night’s sleep! 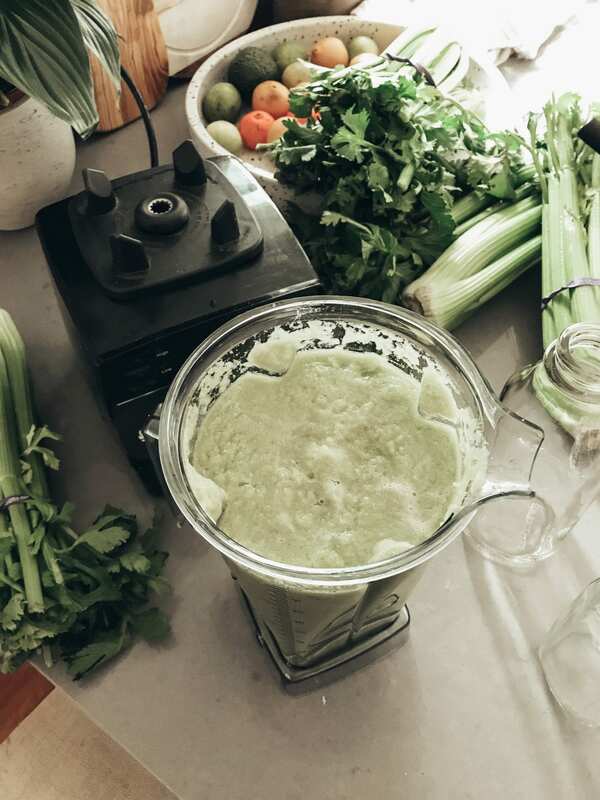 Celery juice is great to drink first thing in the morning because the high amount of sodium in celery can really help you absorb and utilize the rest of the food you consume throughout the day. One of the best parts about eating all that non-starchy produce on the keto diet is the prebiotic fiber you get from them. 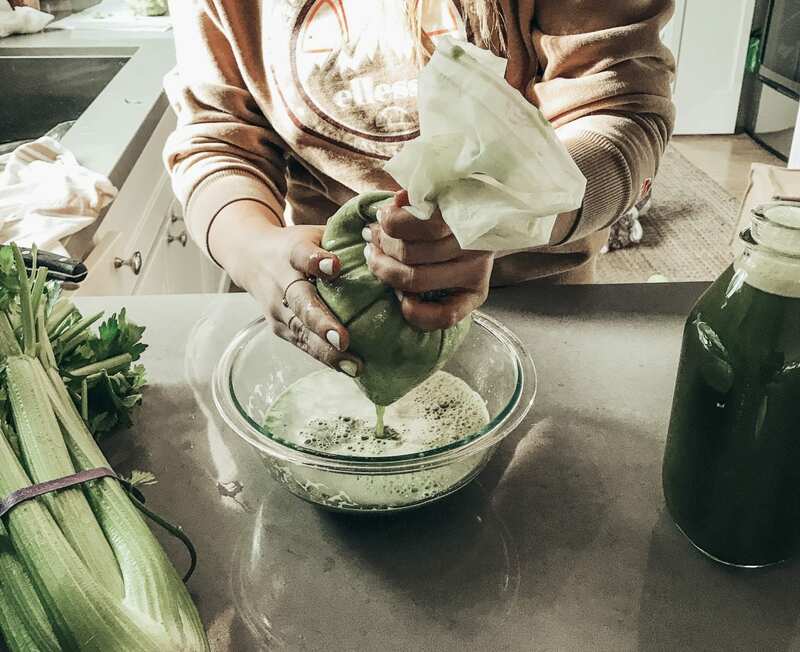 If you want to keep on improving your gut health, celery juice might be a good way to go. Anthony Williams of the Medical Medium states that celery is one of the best ways to alkalize the gut. 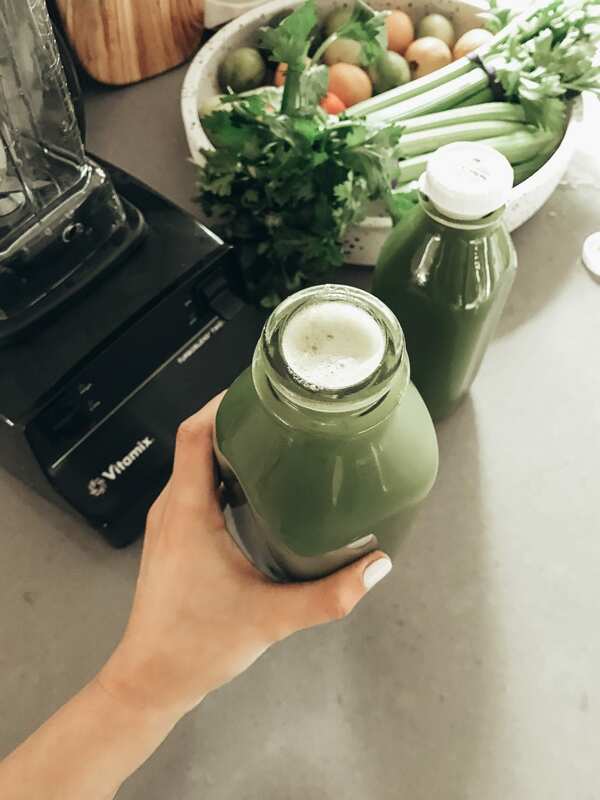 He says that drinking half a liter of fresh celery juice every morning on an empty stomach can transform your health and digestion in as little as one week. 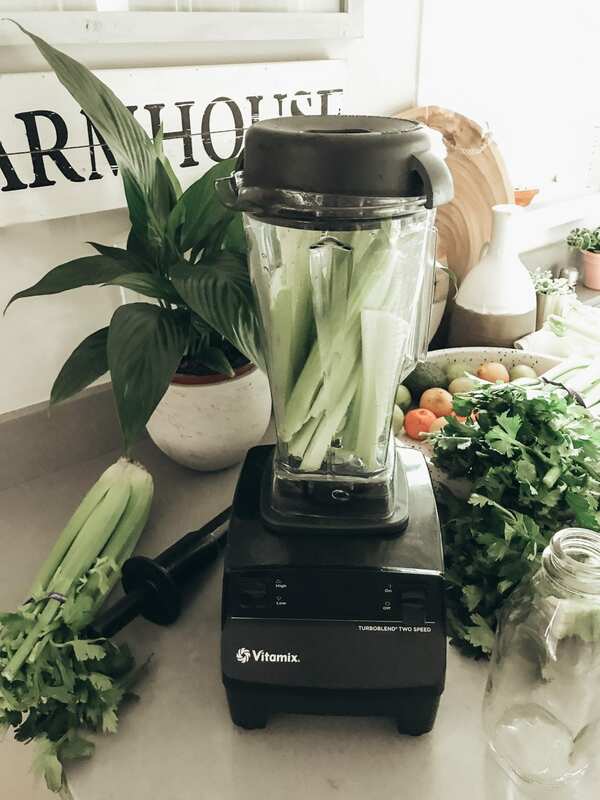 Rinse the celery and run it through a juicer or blender. Drink immediately for best results. Alternatively, you can chop the celery and blend it in a high-speed blender until smooth. Strain well through a nut bag and drink immediately. If this is your first time juicing, this Aicok Centrifugal Juicer is great and affordable! I used a Vitamix in the photos about and absolutely love it! 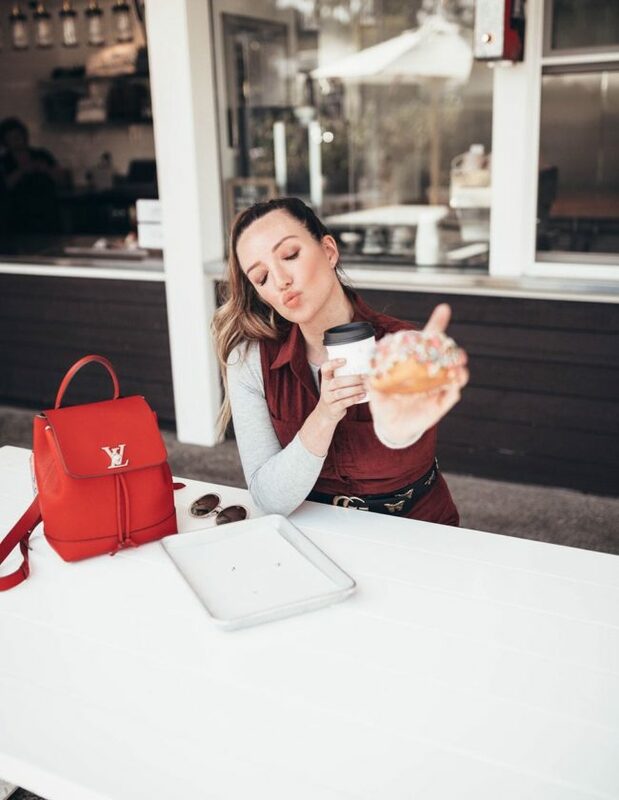 If you want to learn more about the Keto diet, check out my post all about getting started and everything you need to know about how to get into ketosis fast! If you also looking for more keto recipes, try my keto broccoli cheddar soup! All content found on the justaddglam.com, including text, images or other formats were created for informational purposes only. The Content is not intended to be a substitute for professional medical advice, diagnosis, or treatment. Always seek the advice of your physician or another qualified health provider with any questions you may have regarding a medical condition. Never disregard professional medical advice or delay in seeking it because of something you have read on this Website. Celery juice has been kicking me out of Keto. I’ve been doing it 3 weeks. I have more energy, my anxiety has dropped to almost nothing, and I’m sleeping without constantly waking up. But… I’m gaining and starting to crave carbs. I want to try maybe doing it in the afternoon to see if that’s better. I’d love suggestions. Thanks for your comment! How much are you drinking each day? Jennifer ,thank you for the information about the juice, I will definitely do it and wake up every day! We are in our 60s and since starting keto we both have lost nearly 30 kilos each. I make a morning drink of celery redkale spinach leaves carrot lemon lime half avacado blended with water. I think it keeps the foggy brain away and gives us energy lots of health benefits. Would love your feedback please if we can add anything else etc Jennifer? That’s fantastic Pauline! How much carrot are you adding? Carrots can be high in carbs so measure out how much you’re adding and adjust accordingly! I need to try your fabulous smoothie! Thanks for sharing today. How many carbs are in 16oz of celery juice? 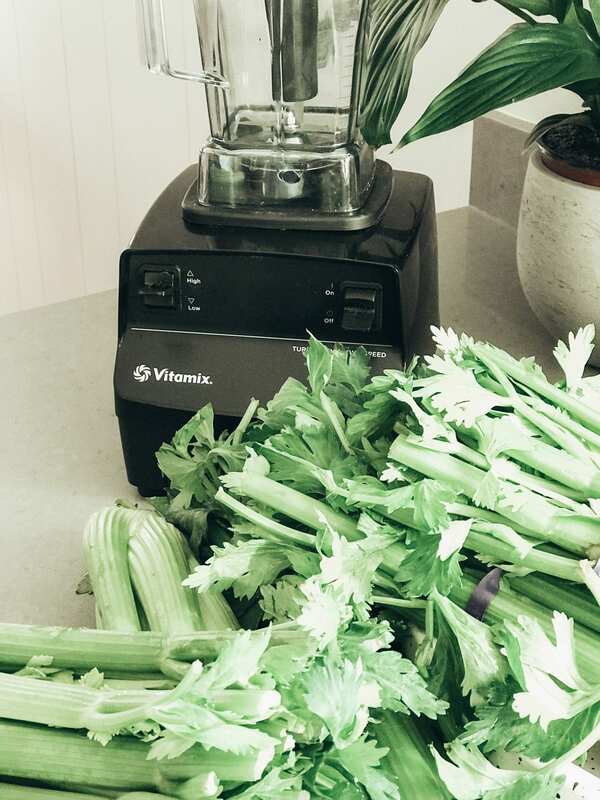 What do you do with the celery pulp, after you have strained the juice? I compost it! Sometimes I give it to my chickens!